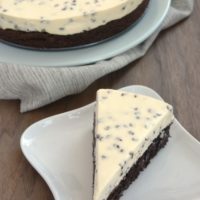 As much as I adore traditional baked cheesecakes, I have quite a soft spot for the no-bake variety as well. Not only do you skip the long baking time, but you also get a smooth, creamy texture that is pretty tough to beat. And I love how quickly you can get the filling mixed and chilling! Just a few ingredients and a little bit of mixer time, and you’re done. Then comes the tough part… waiting for it to chill long enough so you can dig into a slice! 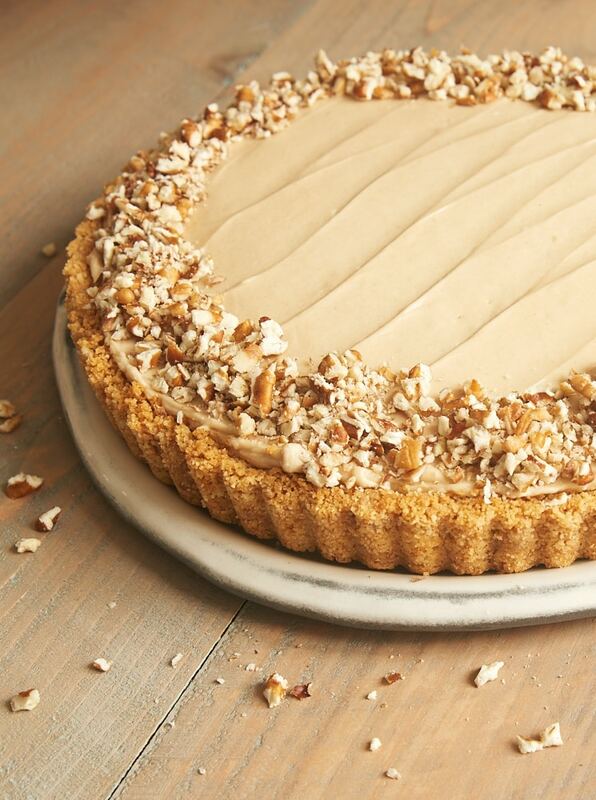 This cheesecake starts with a simple cookie crust made with vanilla wafers. Feel free to substitute another cookie for the crust. 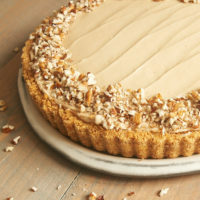 Graham crackers, Pecan Sandies, or Nutter Butters would be a great choice for this pie. Next comes a layer of sliced bananas. I use the best parts of one or two bananas to make a single layer of bananas in the bottom of the crust. 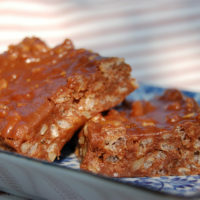 If you prefer more banana flavor, you can certainly add another layer or even two. For the smoothest texture, make sure your cream cheese is at room temperature before making the filling. Then, there’s the filling. Well, let me just say that I would be most happy with a scoop of this stuff in a bowl for my dessert. It’s so, so good yet so simple. Just five ingredients! All of that brown sugar makes it irresistible to me. And the hint of cinnamon is the perfect complement to both the filling and the bananas. While the filling of this cheesecake is not baked at all, I do prefer to bake cookie crusts like this briefly. In my experience, they hold up a bit better after a little bit of oven time. 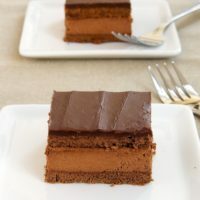 If you prefer a true no-bake experience, then you can assemble the crust and chill it for about 30 minutes before filling it. 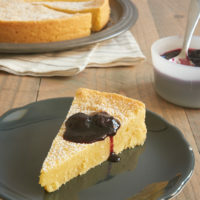 With its amazing flavor and quick preparation, this cheesecake is a great go-to recipe when you need something quick and easy that will impress your family or guests. I know that it will make many more appearances on my table! 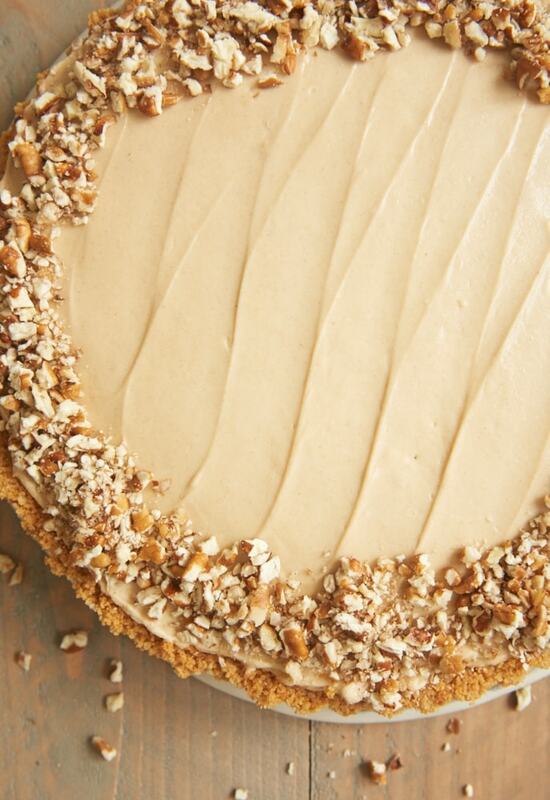 A vanilla wafer crust, bananas, and a no-bake brown sugar cheesecake filling make this Brown Sugar Banana Cheesecake a favorite! Preheat oven to 350°F. ** Lightly grease a 9-inch round tart or pie pan. Combine the cookie crumbs and butter until thoroughly combined. Press the mixture evenly into the bottom and up the sides of the prepared pan. Arrange the sliced bananas in the bottom of the cooled crust. Using an electric mixer on medium speed, beat the cream cheese, brown sugar, vanilla, and cinnamon until thoroughly combined and smooth. In a separate bowl, use an electric mixer with a whisk attachment to whip the cream until soft peaks form. Fold about a third of the whipped cream into the cream cheese mixture. Then gently fold in the remaining whipped cream. Spread the filling evenly on top of the bananas in the crust. 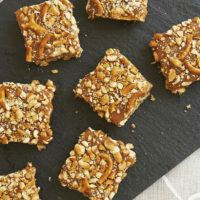 Top with toasted nuts. Refrigerate at least 4 hours before serving. *I make a single layer of bananas in the bottom of the crust, but feel free to add more if you like. **I recommend the short oven time for the crust to help it hold together a bit better. But if you prefer not to bake the crust, you may chill it for about 30 minutes after pressing it into the pan. Fantastically delicious looking for the banana lovers in our family! Thanks! I can not wait to make this! Thank you for the recipe! This looks like the best thing I have seen all month. YUMMY! I need to get a house with a porch, so I can have girlfriends over for sweet tea, so I can serve this cheesecake with it. 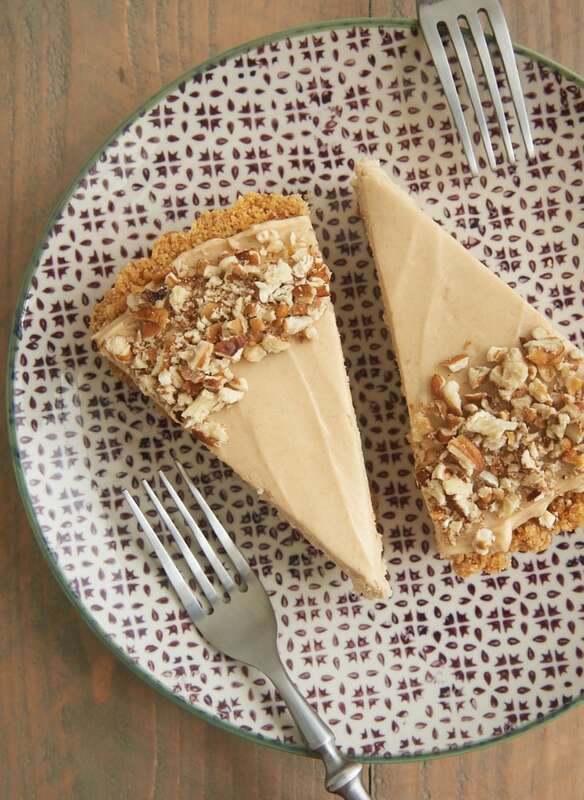 You had me at brown sugar and cheesecake – such a perfect combo! 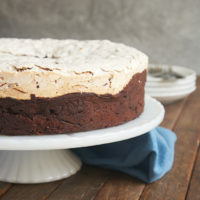 Wow, I can’t remember the last time I had a no bake cheesekcake! It must have been 15 years ago and from a box. I can’t wait to make this! Thank you, thank you and please never stop being such a genius baker!